G for Gold or Green, a DT card for ABC Christmas Challenge. 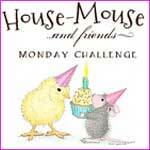 It's Wednedsday and time for a new challenge at ABC Christmas Challenge. The letter is G and Lorraine C is our lovely host. G FOR GREEN OR GOLD ! a deep red and a dark green. They look great together with gold and kraft. golden thread is recycled from a chocolate box ! The backside is like this today, a bit like the front. Prize is 3 digital images. Hope you can join us for our G challenge, we love to visit you and see what you come up with. If you need some more inspiration, please visit my lovely teamies at ABC Christmas Challenge. 2 week long BLOG-HOP planned for you! 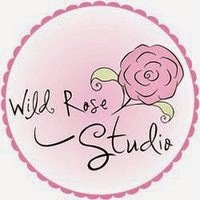 for a HUGE Blog Challenge to bring you awesome inspiration and fabulous prizes! There will be daily posts with loads of inspiration at both HMFMC and Stampendous Blogs, so be sure to check in with us daily for loads of great fun and more chances to WIN! so be sure to check in with us daily for loads of great fun and more chances to WIN! Use stencils with your HMD Characters! NOTE that ALL of our challenges have the alternate option of *ANYTHING GOES* too! So come and join the fun by entering your projects using stamps, CD collection images and, or, any decoupage by House-Mouse Designs! IMPORTANT: This is a CHALLENGE Blog-Hop! 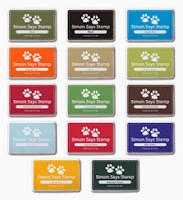 You are not automatically entered to win simply by commenting on the blog posts as in Stampendous Blog-Hops. You MUST create a project and link it to the Linky Tool on the HMFMC Website HERE. There are prizes!! Three entries, chosen at random, will win 1-HMD Stampendous Cling Rubber Stamp, 1 – Large Dreamweaver Stencils Background Stencil, and 1 – Jar of Embossing Paste. This contest is open to everyone!! Here are the links to the Sponsor’s blogs and our designers playing ..
if not, make yourself a large cup of coffee and jump back to her and enjoy. a wonderful -fearless? ?- Gruffie Bear. He is coloured with Prismas. White Embossing Paste and some glitter. and I had to have 1-2-3 (!) attempts before I was satisfied with the result. Here is a picture of my first go, using vellum and glitter. The vellum, with embossing paste and glitter is the 'thing' to the right! After finishing my card, my cat and my boys was glittering! and have a look at her wonderful card. at være kreative med papir? er i brug for første - men bestemt ikke sidste gang! De små tag stempler er også fra LOTV. Det skøre fugle-papir (mine Crazy Birds?) er gammelt, det er fra Basic Grey. Flotte farver, men jeg har ikke rigtig fundet anvendelse for det før nu. Ballongen blev klippet ud i grønt glitter papir. Og på bagsiden en blå ballong sammen med mit 'Håndlavet af' stempel. her 16 th birthday later this week. I've used a Cardmaking Pad from Joanna Sheen called 'Everyday'. The sweet paper with cupcakes is from Echo Park- Birthday Wishes. (no sets or sentiment sets) of the Winners choice. E for embossing, a DT card for ABC Christmas Challenge. Are you ready for a new letter at ABC Christmas Challenge? 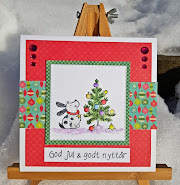 The cute snowman is from Whiff of Joy, and the dp from Maja Design. Pearls, pearl string and flowers are from my stash. the ABC Christmas Challenge by the talented ladies on the design team. 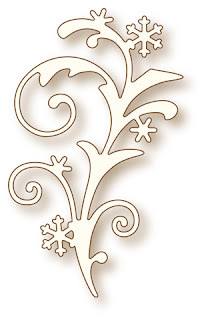 I hope you'll join in the E for Embossing challenge.